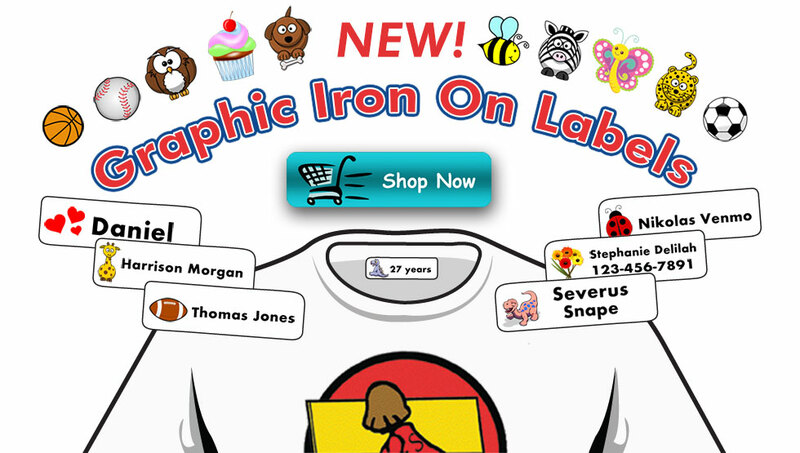 Irononmdlabels.com offers a wide assortment of iron-on labels, sticky labels and accessories that may be used on clothing and personal items for summer camp, school, and nursing and long-term care facilities. Save BIG by purchasing a special package for children attending summer camp or daycare, for the elderly living in nursing homes and elder care facilities. 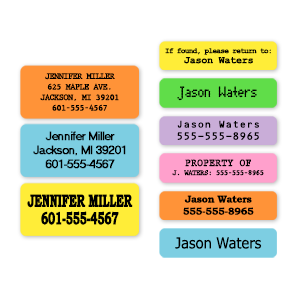 Iron-on labels are perfect for identifying your clothing for summer camp, day care, and nursing or retirement home resident. Don't forget special occasions, business or any other use you can think of! 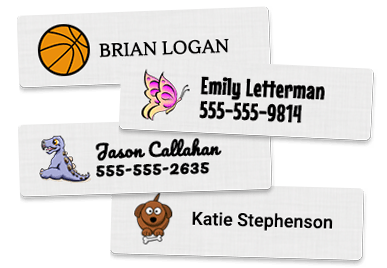 Durable white waterproof, tear, and smudge resistant poly sticky labels to stick on your belongings to identify as your own. Use on items such as water bottles, shampoo, toothpaste, hair brushes, flashlights, books, etc. 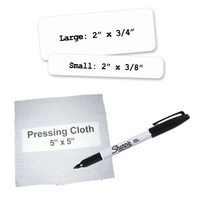 Small and Large Stick on labels are NOT for use on clothing. 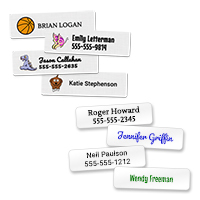 Oval labels fit great inside shoes and come with clear overlay for extra durability. 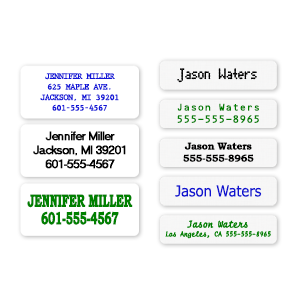 Also available removable stick on clothing labels if you only need short term. Our Stick On clothing labels will stay on through washing and drying, Until you choose to remove them. Simply apply to tags. Easy to remove. 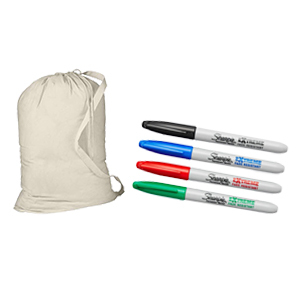 Laundry bags, permanent laundry markers available in black, red, blue, green, label removal kit, and pressing parchment square for best application of our iron on labels.